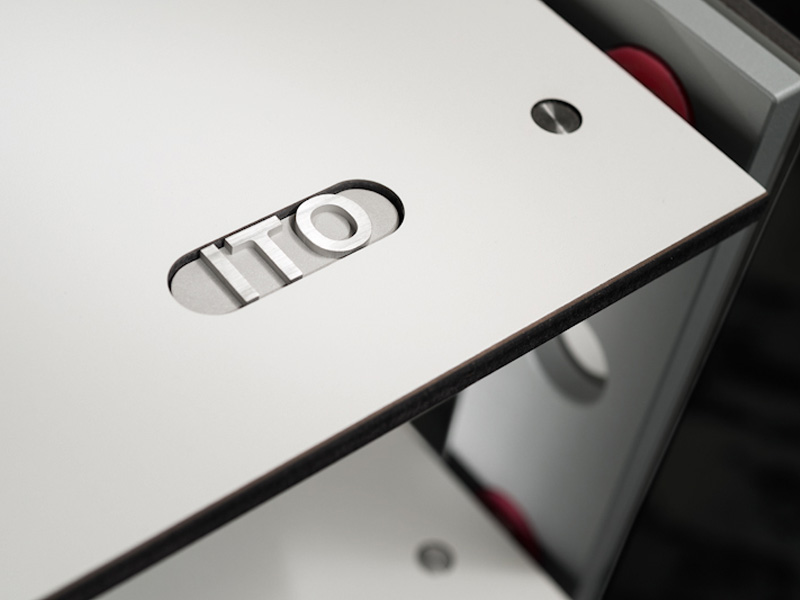 ITO realizes a completely new design approach. A self-supporting, innovative steel framework and Compact Density Fibreboard (CDF) elements are coupled and decoupled via a custom-designed extremely low resonance tension system. The ideal combination: HIGH-END Performance and TOP Design. 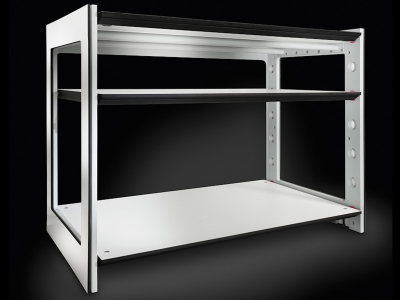 Two individually selectable board widths and a subtle height-adjustment system highlight the ITO’s exceptional flexibility. Precisely manufactured frame plates provide perfect orientation – also for heavy components. 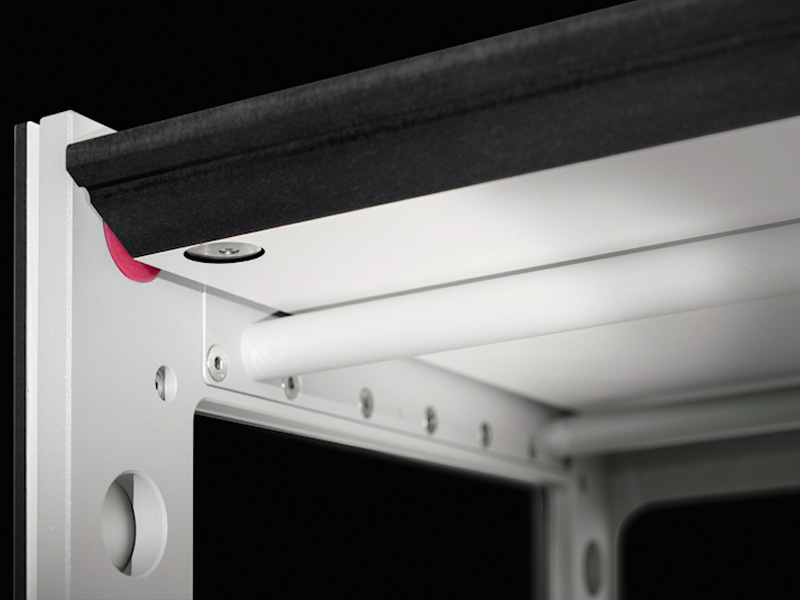 Adjustable feet, integrated in the frame plates, simplify height-adjustment and ensure an effective decoupling of the ITO from the floor. The quality of workmanship is tuned to the finest detail. Thus, the ITO more than meets the highest demands in style and technical perfection of the HIFI Connoisseur across the broad spectrum of musical interests. 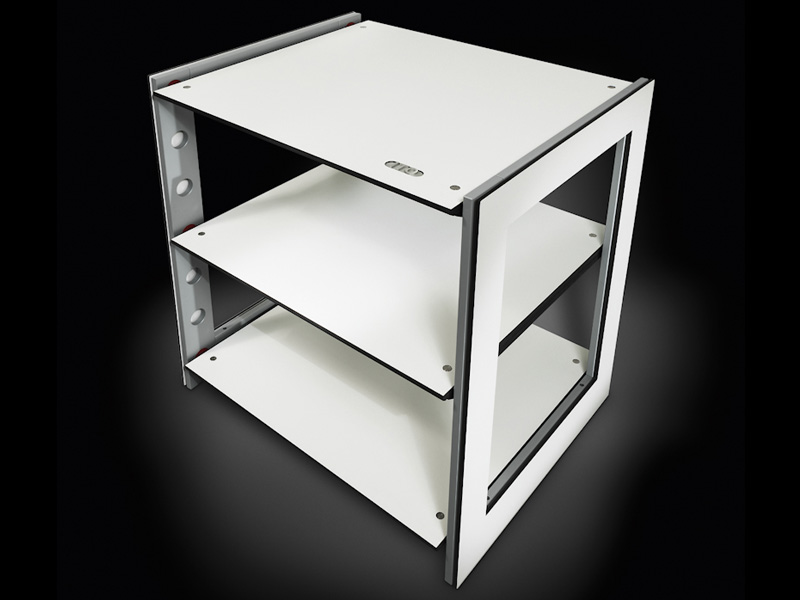 i•ctra design audio products are the property of ictra design e.K. Germany © 2017. All data subject to change.